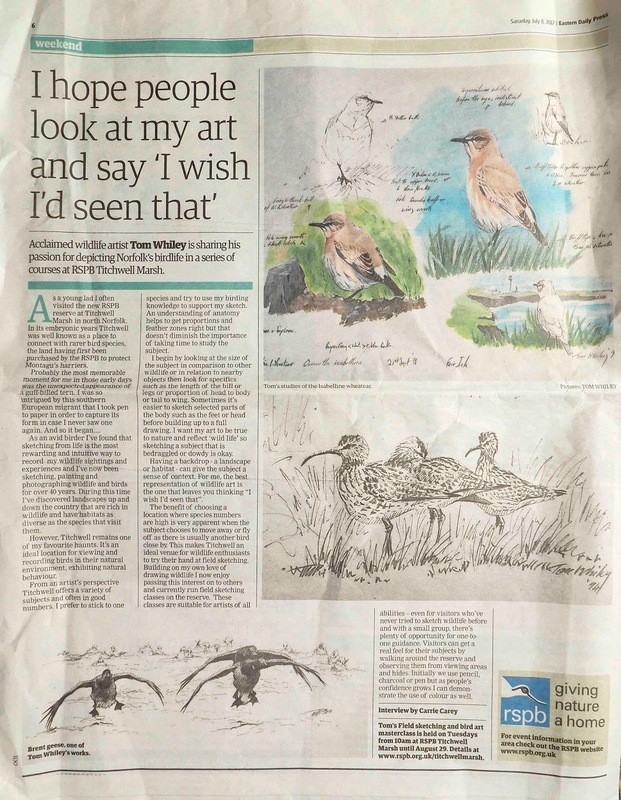 Join wildlife artist Tom Whiley for a bird sketching master class. Tom will guide you through the process of observing wildlife and committing images to paper. Various techniques will be demonstrated with a particular emphasis on field observation. 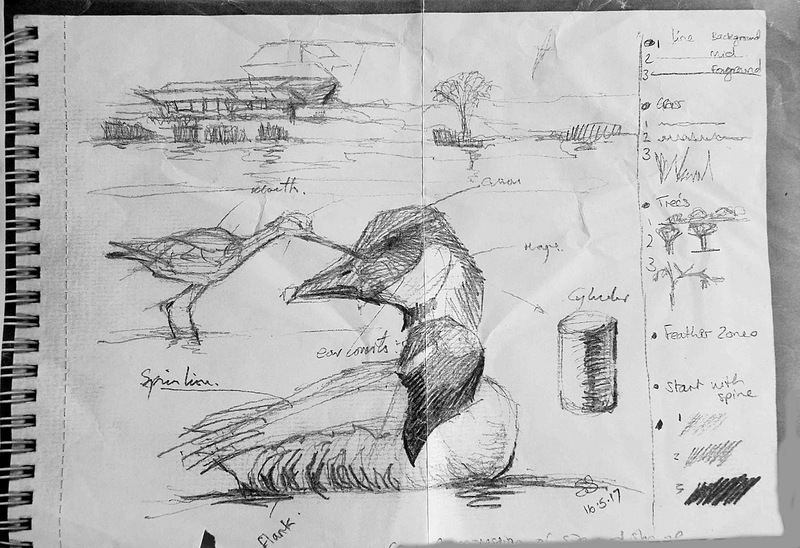 The master class includes looking at the internal structure of birds and how this can be applied to a sketch, incorporating the wider landscape to give a sense of how the species sits within its natural environment and investigating methods to improve your speed of sketch. 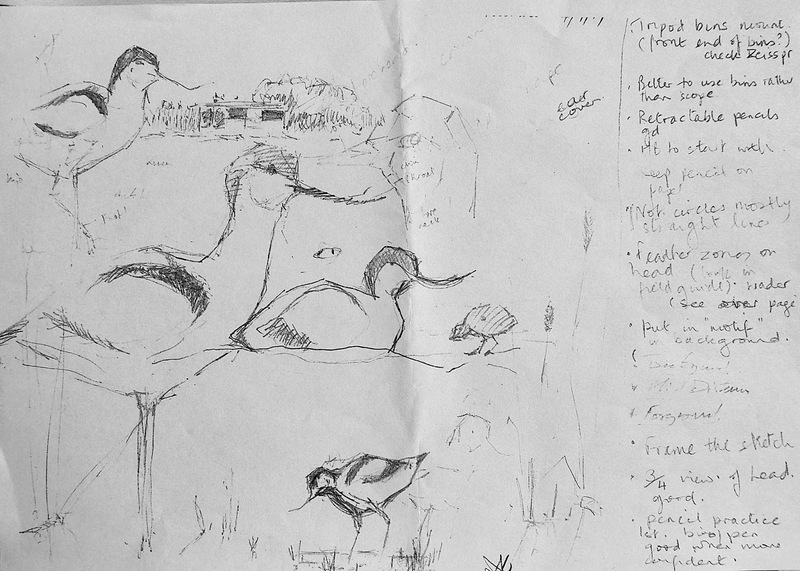 Equipment required: Up to A3 sketch pad and preferred medium and binoculars. 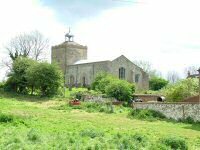 Field Sketching Masterclass - Join wildlife artist Tom Whiley for a bird sketching master class. Tom will guide you through the process of observing wildlife and committing images to paper. Various techniques will be demonstrated with a particular emphasis on field observation.